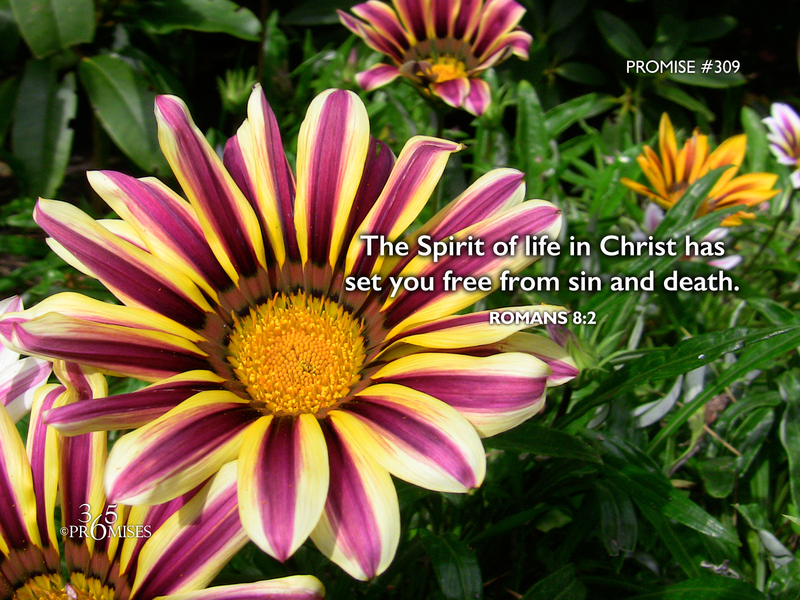 The Spirit of life in Christ has set you free from sin and death. made me free from the law of sin and of death. In life as we know it, there are two laws at work. The law of the Spirit of life in Jesus and the law of sin and death. There are many other analogies in the Bible that illustrate this same point... two kingdoms (kingdom of light versus darkness), two trees in the garden, two cities (New Jerusalem and fallen Babylon), etc. The point of today's promise is that we no longer have to live by the law of sin and death because of the finished work of Jesus Christ. We have been translated from the kingdom of darkness and now live in the Kingdom of the Son. While this is a spiritual reality, many dear people still live by the law of sin and death in their minds because they have not yet been able to believe that they are truly free. The law of sin and death to a Christian is like a prisoner who finds some form of comfort in the prison cell because of its familiarity, though he is free to leave the prison at any time. We are free from its power because of what Jesus did on the cross two thousand years ago. We are no longer obliged to live by the power of sin and death! God wants us to experience the new freedom that we have in Christ because it is for freedom's sake that He set us free. May the mind altering, earth shaking revelation of our freedom roar into our hearts today! The Spirit of life that is in Jesus Christ has set us free from the law of sin and death! Hallelujah!